All TERRAMAR PARCEL 2B homes currently listed for sale in Peoria as of 04/24/2019 are shown below. You can change the search criteria at any time by pressing the 'Change Search' button below. 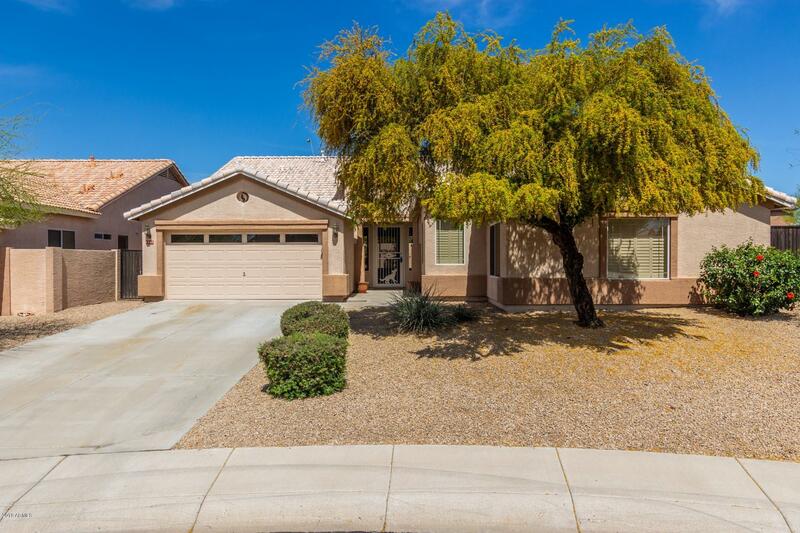 "Beautiful 4 bedroom plus den, 2 bath home located on an over sized lot in Terramar! This spacious home features a split floor plan, plantation shutters,cozy family room with fireplace and an eat-in kitchen with recessed lighting, pantry and island/breakfast bar. The spacious master bedroom offers a large walk-in closet, full bath with double sinks, spa tub and walk-in shower. The master bedroom also features a private entrance to the covered brick patio and lush green landscape. The backyar"